Start Finding a Seattle Nanny Today! ABC Nanny Source is noted for our extremely thorough system of selecting and hiring the most qualified childcare professionals in our nation - with the utmost dedication and attention to the Seattle area! Have you ever wondered how your children are being cared for when your away? Have you worried if your daycare is giving the appropriate attention to the most cherished and innocent aspects of your life? It’s the feeling in our stomachs as we drive away; our heart sinks and we ask ourselves, “are my children safe and nurtured! ?” We’ve experienced all those feeling ourselves; the priceless time we’ve invested raising our children to our standards is our firm belief! We care and know our children’s LIFE depends on us! We know it’s not as simple as what it may seem to find quality care! ABC Nanny Source is family owned and operated - finely tuned for our innate ability to service families and make them feel successful with their children! 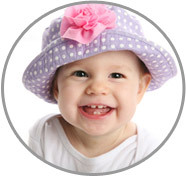 We place career Nannies, assisting you and your family to thrive! Parents worldwide do their best to find the perfect Nanny; a special addition to the family who’s a part of daily life. Your experience with us will be pleasantly surprising as we GUARANTEE to bring a wonderful addition to your family. We’ll be your support as you interview personalized nannies we bring to your attention. Your unique needs is our goal! We care for your children the attention they deserve! Our Placement Counselors have expertise on those needs and return the best results! We work diligently around the clock to be your guide as you hand select the most capable candidate to cater to your children’s physical, emotional, and mental capacities. You’ll be blown away at your nanny’s loyalty to you and your children! ABC Nanny Source seeks nurturing, loving, and compassionate nannies who have proven their abilities in the Seattle area! We strive for perfection - it’s our highest honor to leave you feeling confident in us and your nanny! With a healthy body, mind, and encouraged spirit your children will flourish; the end result - we all sleep better at night knowing we’re doing our part to make this American dream happen! We believe that happy parents, happy children, and happy nannies make our world turn! We’ve witnessed countless nannies become the ‘role models’ of children and dear friends of the parents they serve. These relationships make our lives so much brighter and we grow older with gratitude knowing our children have had amazing upbringings! We look forward to bringing you the peace of mind you’re seeking; it’s our pleasure to present a service that brings you the quality and attention that you deserve for your in-home childcare needs! Our pride is the joy we bring; the personal touch of a well experienced nanny! Our promise is an extraordinary Nanny Placement Service that is incomparable in the agency market! Our mission at ABC Nanny Source is to provide the highest quality caregiver that each and every family deserves! We find joy in our career nannies! We devote ourselves to attracting, recruiting, and screening first-class nannies, - introducing them directly to you! As a cherished ABC Nanny Source client, you're invited to contact one of our compassionate Placement Counselors who will always show you respect, love, and compassion; bringing you our very best at all times! We’re here to answer any and all questions you may have regarding our nannies and our agency. We’re at our best with your interest in mind! With excitement and a tender heart.